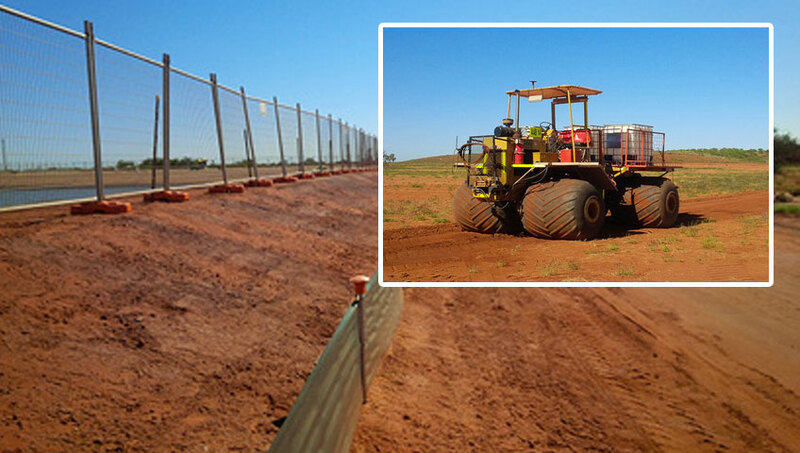 Rainstorm applied Gluon™ Water Erosion Control for the Wheatstone Oil and Gas Project in the Pilbara Western Australia to Borrow Pits. Rainstorm also delivered Gluon applications to open areas to hold dust and trap moisture for site rehabilitation and embankment water erosion control. Soft sand areas were covered using the Rainstorm specialist CASE application truck photographed.